One of the most significant objectives of the Kotychi – Strofylia Wetlands Management Body is to inform the public and raise its awareness on issues relating to the protection of the natural environment, especially in relation to the National Park. The characteristics and the location of the protected area render it particularly significant to the biodiversity it exhibits, the natural resources, recreation, as well as agricultural – livestock production. All of the above lead to its intensive use by residents and visitors and raises a very important need for informing citizens. 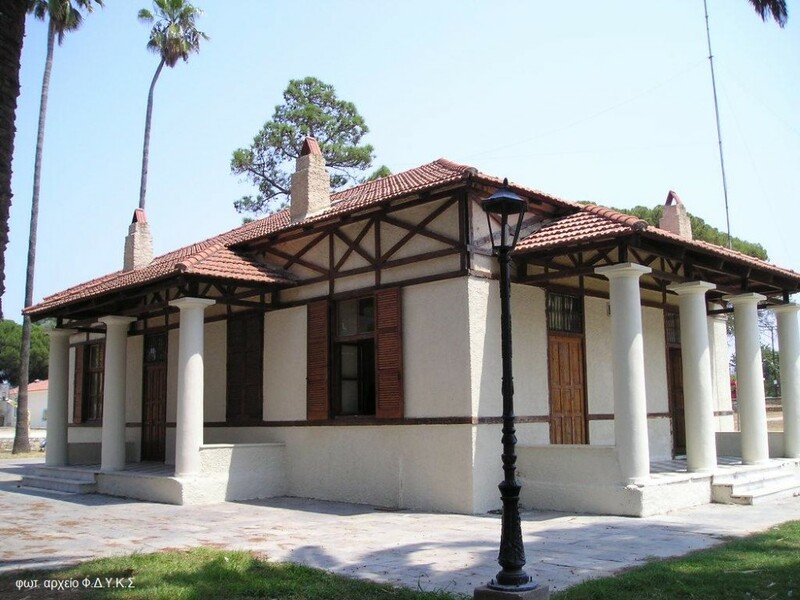 Within this context, the Management Body has undertaken the operation of the Strofylia Forest – Kotychi Lagoon Information Centre, which is situated at Lappa in Achaia, approximately 4 km from the nucleus (Zone Α: Nature Protection Area) (hyperlink) of the National Park. The Information Centre is housed in an early 20th century building, a part of the Manolados I Royal Estate that has been defined as a “Work of Art” by a Ministerial Decision in 1982 (hyperlink). The building was reconstructed in 1995 by the Ministry for the Environment Spatial Planning and Public Works within the context of the ENVIREG Community Program under the “Environment” Enterprise Program, while its use was assigned to the Management Body in 2007 by the former Larisou Mayor. The main role of the Information Centre is to operate as a central point of reference for promoting the National Park at a local, national and international level and for attracting visitors. Through the provision of information on the area’s ecological features, it aims to provide understanding on the interdependence between the human and natural environment, the consequential recognition of its social and economic significance and finally in the need to protect and preserve the National Park’s natural endowment. 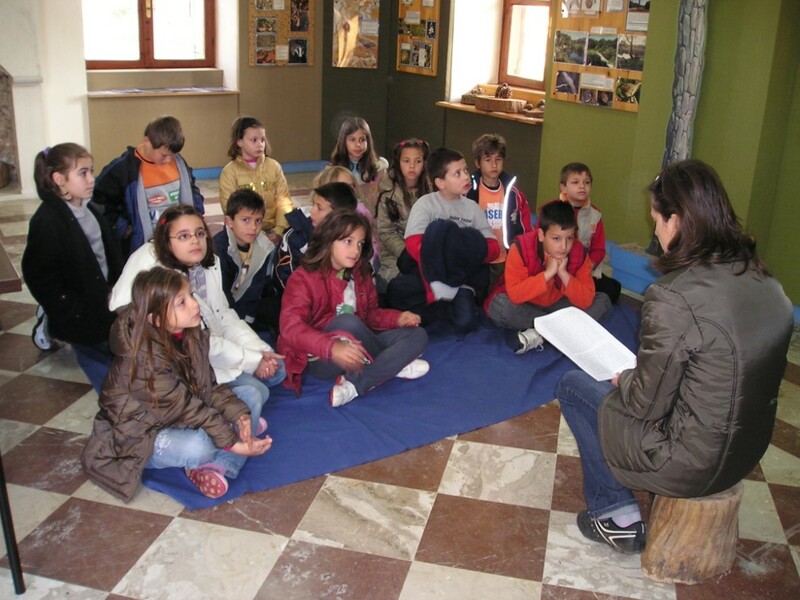 In order to achieve these objectives, the Information Centre is open to the public with free admission for individual visitors, while conducting tool guides for organised groups of all ages. The guided tours usually include a general presentation of the area, where reference is made to the unique features of the habitats that comprise it, its value for humanity and its human usage over the course of time. The problems and risks that it is currently facing are also analysed, which entail the need for protecting it. Finally, reference is made to the protection regime at a national, European and international level, as well as the Management Body’s responsibilities and actions. The groups can then be guided into the field in the accompaniment of qualified personnel by following the tour with their vehicle, or walking along one of the educational parts that have been selected in order to cover different topics. One route refers to the wetlands and visitors have the opportunity of discovering the Kotychi Lagoon ecosystem, observing the birds and becoming familiar with the fishing methods in the traditional vivarium. Another route refers to the Strofylia forest ecosystem and presents the pine forest (Pinus pinea), the oak forest (Quercus aegilops), the values, uses and threats it faces. A final route refers to the succession of habitats commencing with the wetlands and the seasonally flooded areas from inside the coastal pine forest and down to the coastline with the sand dunes.